You’ll be truly committed to consistent and regular foot massage when you understand its remarkable range of benefits. You will begin to see health conditions change and improve with regular foot massage with penetrating essential oils. You’ll also notice that you are calmer and less stressed. Many physical disorders have their roots in our emotions. Regular work on the feet can reach deeply hidden blockages and set them free in a remarkable way. Medical professionals trained and certified in acupuncture, reflexology, and foot zoning often use specific sensitive or "trigger points" on the feet to check their patients for problems and weaknesses in the various systems of their body. Whenever we bump ourselves or feel a pain, we instinctively massage the area. This spontaneous massage has developed into an art, a science and various schools of healing called reflexology, foot zoning, and others. Practitioners have discovered that it can often help a painful area even more to massage areas of the body other than the painful area. We have discovered ancient charts linking foot massage with healing. Such charts are found in ancient writings in Greece, Rome, Arabic countries, Egypt and India. In China acupuncture very successfully uses hair-thin needles and massage to reduce pain in areas not even touched by the massage or the needles. 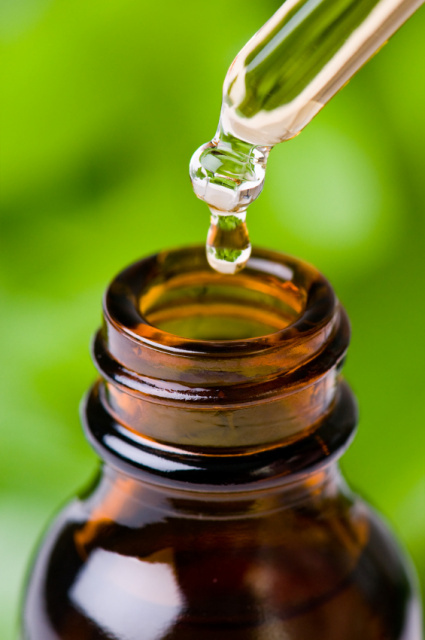 Some acupuncturists actually enhance the action of their therapy by using essential oils with their needles. Acupuncture is a very complex science that deals with channels of energy called meridians. The therapy teaches that a balanced and even flow of energy throughout our body keeps us healthy. This is especially true in the hands and feet. Any kind of blockage in these important areas will decrease our health and vitality. It is not our purpose to teach a lot of reflexology or foot zoning here, but only to show you how you can use simple reflexology areas on your feet to unblock energy, relax yourself and improve your health. To do this, you’ll need to visualize areas of your head and torso on your feet. Whenever an organ or a function in your body isn’t healthy, a tender or sore spot may appear on the corresponding area of the foot. An injured area of the foot such as an ingrown toenail or a stubbed toe can affect corresponding areas throughout the body as well. When you find a sore or tender areas on your feet, this can help you identify blockages in the body. But this alone doesn’t diagnose a disease. It just points out a weakness. When you work on the painful or tender area on your feet, you can help release the blockage in the corresponding area of your body. This is not actually treating a disease, but merely giving your body a better flow of energy that will enhance the healing process. Our feet carry the weight of our body many hours a day. They are shut up in socks and shoes all day long without being touched or given any kind of spontaneous massage (like our hands or other areas of our body). It’s more common to find blockages on our feet than on any other reflex areas of our body. We get better healing results from foot massage than from massage of any other area of the body. Using essential oils enhances our foot massage. Imagine that the head is projected on the toes. The rib cage corresponds to the ball of the feet. The diaphram separates the organs under the rib cage like the heart and lungs from the lower abdominal organs. The abdominal organs are on the arch. The elimination and sexual organs are on the heel and the ankle. The spinal area is found along the insides of each foot. Except for the organs that do not come in pairs such as the liver and spleen, what we find on one foot we also find on the other. On the right foot the colon goes up and toward the inside of the right foot. Because food moves through the colon in a clockwise direction, foot massage on the arch of the foot is also done in a clockwise motion. It’s important to massage the toes because they correspond to the head and the brain. In reflexology working on our toes is like working on the control center of our entire body. Working the toes also helps release emotional tension and stress. Myrrh and frankincense in the About Face blend are used to enhance the immune system and help decongest the respiratory system. This is the blend we recommend for daily foot massage. Myrrh is a calming essential oil. Aromatherapists working on the spiritual and emotional treatments often recommend myrrh for balancing the emotions. Frankincense is often used for anxiety, stress, depression, fears of all sorts and nightmares. Mothers have been calming babies for millennia by touching and massaging them. Think of foot massage within your family as an extension of something that is natural, loving and intimate. If you’ve been on your feet all day long you need this treat for your feet. Begin by taking a shower, a bath or just soaking your feet. Add a few drops of your favorite essential oil blend to bath water. It’s most beneficial to receive a foot massage from someone else. But it’s better to do it on yourself regularly than to not do it at all. In a small cup, bowl or simply in your hand, mix five drops of your AboutFace blend in about a half teaspoon of your favorite carrier oil. If you’re giving yourself the massage, bring your foot onto your left thigh where you can use both hands. If someone else is giving you the massage, it’s important that you are both in a comfortable position. If someone is bending forward in an awkward position, it could block the natural full flow of energy you are after. Apply the diluted blend over the entire foot, massaging upward in the direction that blood flows toward your heart. Start gently and increase pressure as you go but always check with the person receiving the massage that you are not being too firm. Massage each foot overall for about five minutes. You’ll already begin to feel more relaxed. Use the About Face blend or any other blend or single oil diluted in a mixing oil all over your feet. On your toes, you can use an undiluted oil. On one foot, start by massaging clockwise on the center of the arch. Form increasingly larger circles adding pressure progressively. Do the same on the other foot. If you do the whole treatment on one foot and then the other, it may create an imbalance. So trade for each area of the foot. Use your knuckle if it is tolerable to massage the liver area on the right foot and the spleen area on the left foot. When you feel a lot of pain, reduce the pressure. As you continue massaging the area each day the pain will start to go away. This is an indication that you are progressively unblocking these areas of your feet and benefitting their corresponding organs. Next focus on the balls of the feet. Use both your thumbs and knuckles with enough pressure to free any blockages. As you work your own feet for a few minutes daily, you’ll begin to recognize how much pressure it takes to bring relief. Now move to the toes beginning with the big toe. It is critical to unblock the control areas of your brain that correspond with your big toe. Use your knuckle with a downward movement right in the middle of the big toe. Work firmly on the base and inside neck of the big toe where stresses tend to accumulate. Massage each toe to help unblock any emotions. Finally, work the sexual organ area in the bottom center of the heel and under the large bones on each side of the foot. You’ll often find tender points here. End the treatment with an overall massage including firmly massaging the top of the foot. Massage the thigh and calf up to the knee. Allow for a little time to relax after the treatment. Notice how much better you feel when you stand. It is ideal to receive a deep reflexology treatment like this once a week. But you’ll want to massage your feet with a few drops of essential oils and a carrier oil for just a few seconds as you get out of your bath or shower each day. Be sure to massage a few of the major points each day. You’ll see better results from working your feet every day as a habit than you will from only an occasional deep massage. This deep foot massage cannot resolve all our health problems, but we will get better results from any other healing treatment by also doing a thorough foot massage using essential oils. You may want to add another blend according to your physical needs. Simply pour five drops into the carrier oil and mix it with the About Face or another favorite blend. If you study different books or charts about reflexology or foot zoning, you will see variations between the location of corresponding organs and parts of the body on the feet. Don’t be concerned. Simply work all over the foot and focus on the points that appear sore or tender. It’s not necessary to locate any exact point. The body will adjust. We encourage you to treat yourself to a massage by a certified professional occasionally. You'll learn specific techniques that you can use on your own. Many may not be familiar with using essential oils in their therapies, so you'll want to share how they enhance your foot massage.